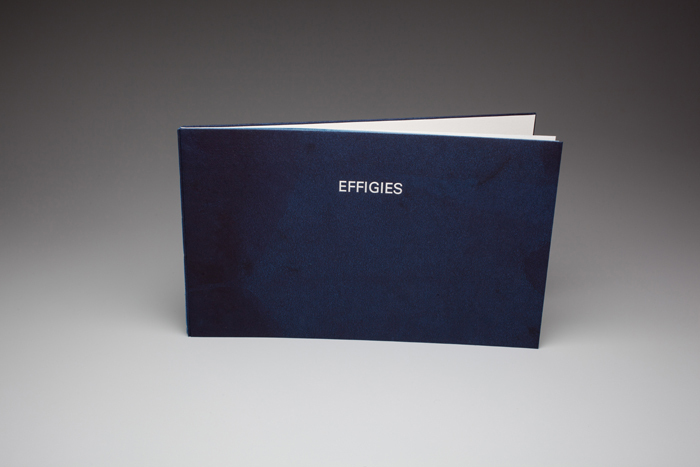 Effigies is a hand-drawn limited edition artist book featuring Paul Auster's namesake poem from 1976. 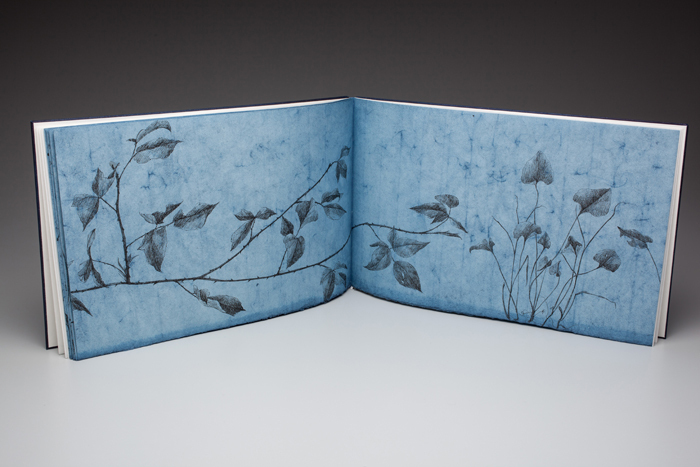 My design for the book centers around a long sumi ink drawing of a bramble fence that extends over several indigo-dyed pages. For each of the 20 books in the edition, I re-drew the image by hand, resulting in 20 unique pieces. Meaning `a likeness ́ or `resemblance of ́, effigies straddle the threshold of existence, that which is illusory or real, forgotten or remembered. The ink-drawn weeds and brambles that cross the landscape pages are part of the edges of fields, the forgotten spaces between tilled lands that grow tangled with rusting fencing. I could not be more pleased that Mr. Auster has signed the colophon! 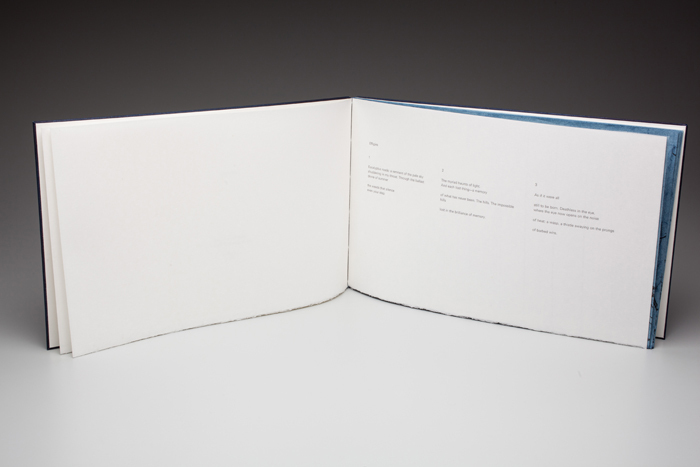 For the creation of this book handmade kozo paper was dyed in an indigo vat, hung on laundry lines in the sun, gelatin sized, and pressed flat over the course of a year. 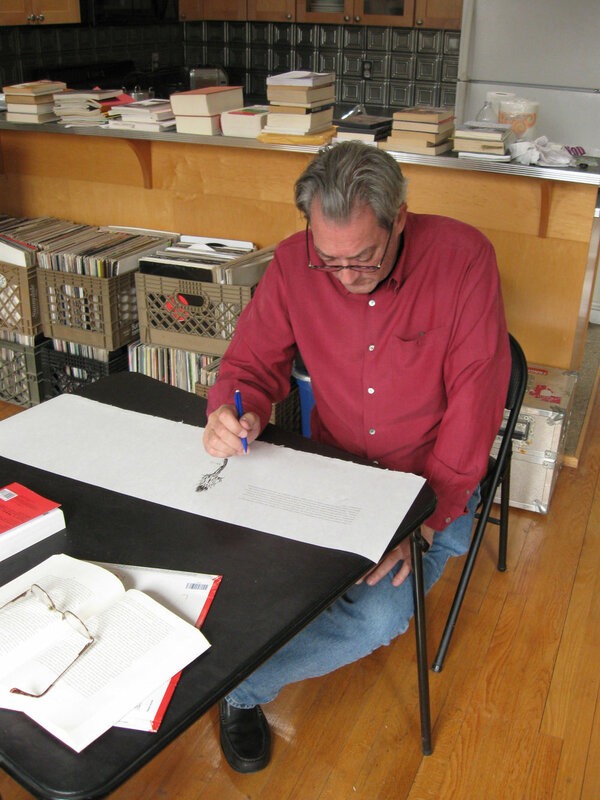 Paul Auster graciously gave permission for the reproduction of his poem Effigies, and the printing and drawing commenced in early 2012. Each image was re-drawn by hand for the edition with sumi ink by Sarah Horowitz in Portland, Oregon. The Univers types were cast at the foundry of M & H Type. 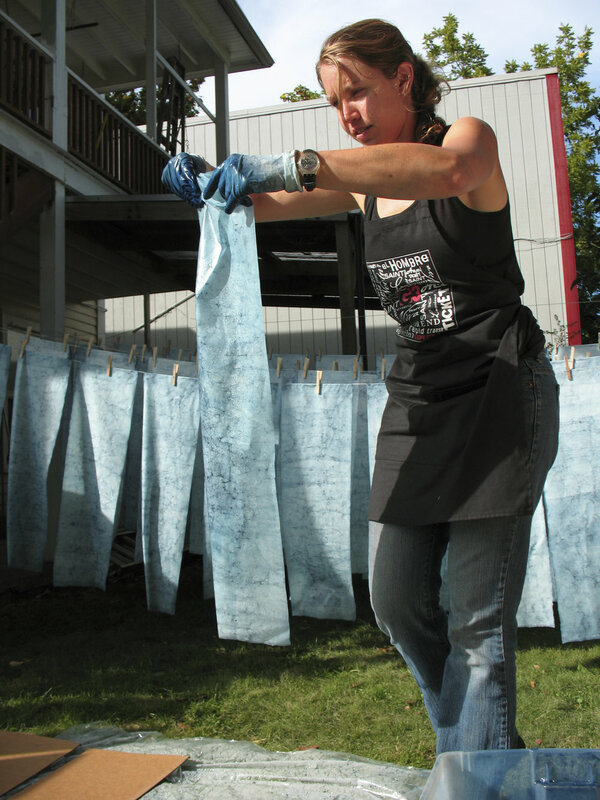 Art Larson of Horton Tank Graphics in Hadley, Massachusetts printed the letterpress on un-dyed sheets of kozo. Claudia Cohen bound the edition in indigo-dyed flax paper made by CavePaper. 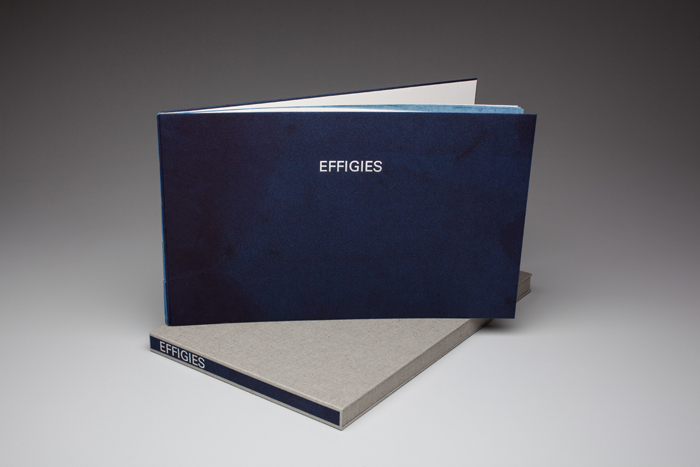 Twenty copies in all were produced of Effigies by Wiesedruck. Each copy is signed by the author and the artist.